REAL UAMOU CLEAR HALF GALAXY! 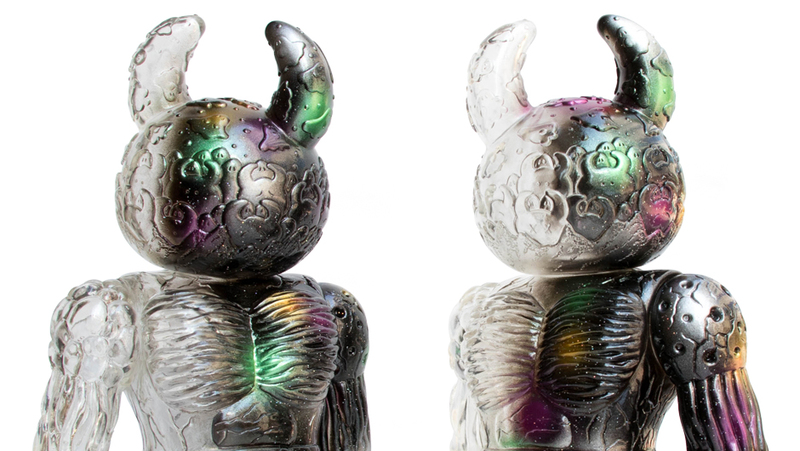 We are very glad to announce the return of Real Uamou to our store. Real Uamou in collaboration with REALxHEAD is everyone’s sought-after item. “Real Uamou Clear Half Galaxy” will be sold on February 11th in our Atelier Shop and it will also be available on our online store on the same day starting from 14:00 JST. This time he has a half-painted transparent body. When we try to look into him from his right side, the elaborate design reflects black, the base color like a shadow. It reminds us of the phases of the moon especially when you try to do it in his spherical head parts! Sign your agendas, mark your calendars, be prepared because Real Uamou is coming back to town and he might be gone before you know it. ◆ Atelier Shop sale starts on February 11th (Sun) at 11:00 JST at Studio Uamou. If there is a waiting queue, we will hold a lottery to decide entry order at 11:00. We advise visitors to come to Studio Uamou not earlier than 10:45 for the sake of our neighborhood. ◆ UAMOU ONLINE SHOP sale is scheduled to start from February 11th (Sun) at 14:00 JST. ※Depending on the situation we might limit the number of purchases per person. ※ Items will sold as long as stock is available at both shop.